Ken was born in Hastings and educated at York University where he gained BA and MA degrees in music. He works as Musical Director for numerous companies at home and abroad. He has played and conducted at many prestigious venues including The Royal Albert Hall, The Festival Hall, The Britten Theatre, Kensington Palace and Hampton Court. His second opera, Mister Butterfly, which he wrote in 1994 was premiered in Hong Kong and subsequently performed at the Edinburgh Festival, and featured in a documentary shown by BBC television and BBC World Service Satellite. He also enjoys giving his series of lecture recitals around the country on subjects ranging from Mozart to ‘Jelly Roll’ Morton. In the past few years he has spent several spells in New Hampshire, USA, where he directed a new ‘African’ Musical, which he was commissioned to write. In 2002 he wrote the music for an awardwinning ‘international’ children’s piece produced in New England and fulfilled a commission from the Purcell School in association with the Vaughan-Williams Trust as part of their centenary celebrations to mark the birth of Sir William Walton. In 2005 he completed a commission to write a ballet based on the novel ‘The Trumpet Major’ by Thomas Hardy. ​ Between 2001-2011 he worked at the University of New Hampshire, USA, where he directed a new African Musical which he was commissioned to write and also composed music for an award-winning ‘international’ children’s piece. He was also musical director and conductor for Plymouth State University’s Educational Theatre Collaborative. In 2002 he fulfilled a commission from the Purcell School in association with the Vaughan-Williams Trust as part of their centenary celebrations to mark the birth of Sir William Walton and in 2005 he completed a commission to write a ballet based on the novel The Trumpet Major by Thomas Hardy. 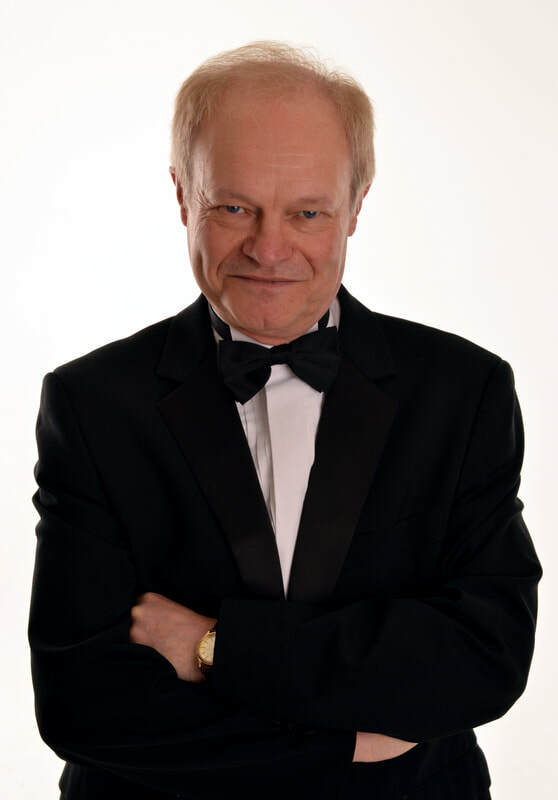 In 2010 he also contributed music for the recently published musical version of 'Pollyanna' and also became a BIFF (British and International Federation of Festivals) adjudicator. He has become a BIFF adjudicator and also lectures part time for the WEA. In between times he has enjoyed giving his series of lecture recitals around the country at music clubs, and on cruise liners on subjects ranging from Mozart to ‘Jelly Roll’ Morton and has just released a CD of piano music entitled ‘Around the World in 80 Minutes’. Link to Kenneth's personal website... with details of his next performances.